The University of California San Francisco has removed sugar-sweetened beverages from every store, food truck and vending machine on its campus. 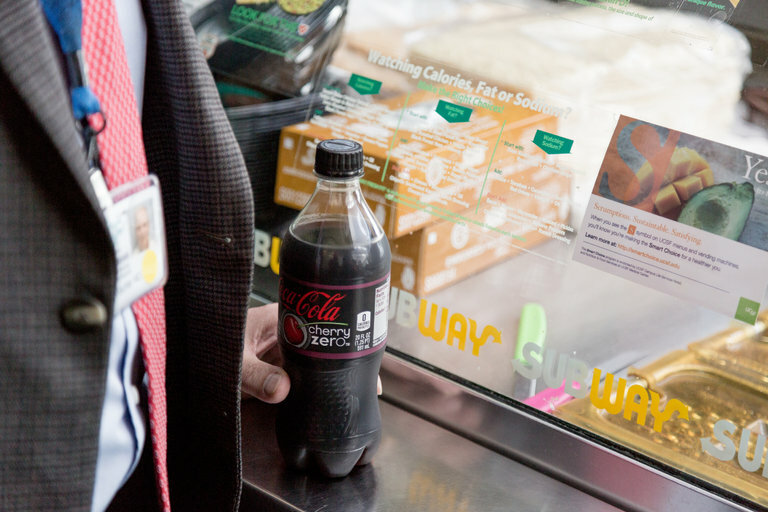 Even popular fast-food chains on the campus, like Subway and Panda Express, have stopped selling Sprite, Coca-Cola and their sugary brethren at the university’s request. Last edit: 11 Dec 2016 09:26 by admin2. The main culprit is likely that people are swapping the traditional Chinese diet for junk food. So a big part of the solution is to go back to eating less processed carbs and instead focus on real food. Last edit: 07 Jan 2017 15:51 by admin2. "Choose a month this year — a full 30 days, starting now or later — and commit to eating no added sweeteners. Go cold turkey, for one month.I have done so in each of the last two years, and it has led to permanent changes in my eating habits. It wasn’t easy, but it was worth it. It reset my sugar-addled taste buds and opened my eyes to the many products that needlessly contain sugar. I now know which brands of chicken stock, bacon, smoked salmon, mustard and hot sauce contain added sugar and which do not." Very creative way to talk about things!